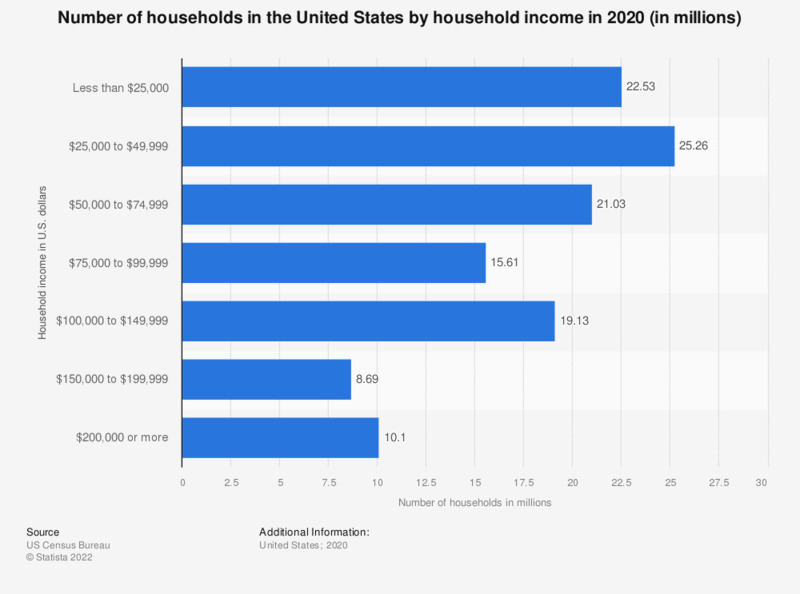 This graph shows the number of households in the United States by household income in 2017. In 2017, about 8.3 million households had an income of 200,000 U.S. dollars or more. Covers householders 15 years old and over. Excludes members of the Armed Forces except those living off post or with their families on post.